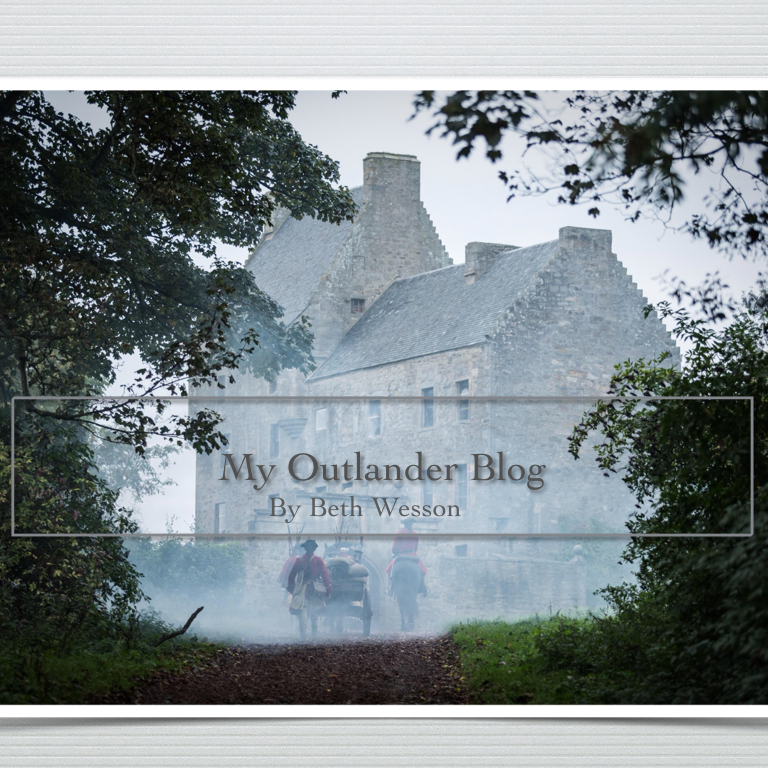 Frank – My Outlander Blog! I couldn’t watch it through a second time. I shut it off. I thought perhaps sleep would help my perspective. It has cooled my ire enough to write. I really wasn’t sure I would write anything about this episode because I felt too conflicted, too….angry. First, let me say that if I DIDN’T know the rest of the story, I’d think this was a great episode. Lots of action and conflict for our heroine Claire. Beautifully acted. Beautifully filmed. But, I do know the rest of the story and this isn’t taking me there. So, what is the big problem…Jamie…again. Who is supposed to be Claire’s soul-mate? Jamie or Frank? I understand Ron Moore wanted Claire’s decision to feel real, so he decided to put more about Frank into the story. I was all for that decision, until now. Once again I ask, “where’s Jamie?”. In my humble opinion, as a reader and viewer, Both Sides Now should have been One Fine Day. I understand this is an adaptation and I know things must be changed and somethings left out. 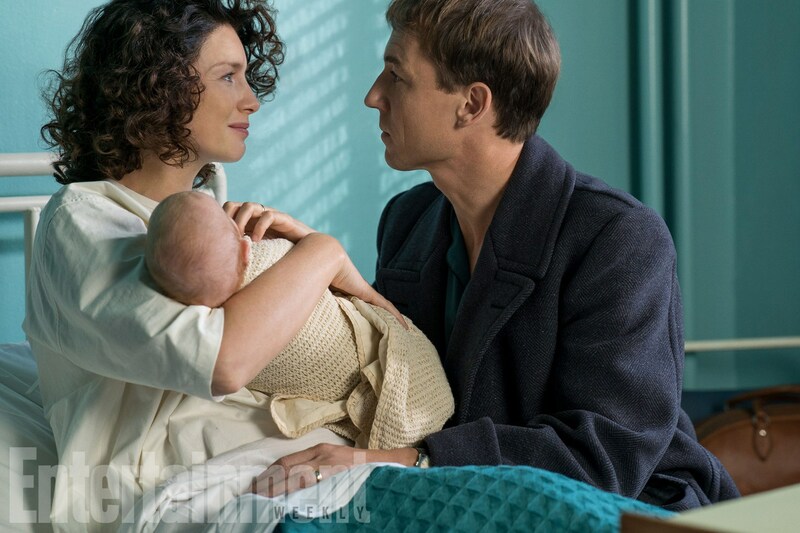 However, I’m pretty sure what should not be left out is the growth in Jamie and Claire’s relationship. Of all the wonderful tender and revealing moments that happened the couple of days following the wedding we get “hoor-rocks”? I understand that it advanced the story…Jamie needed to leave Claire for the chance to change their future. I get that….great. 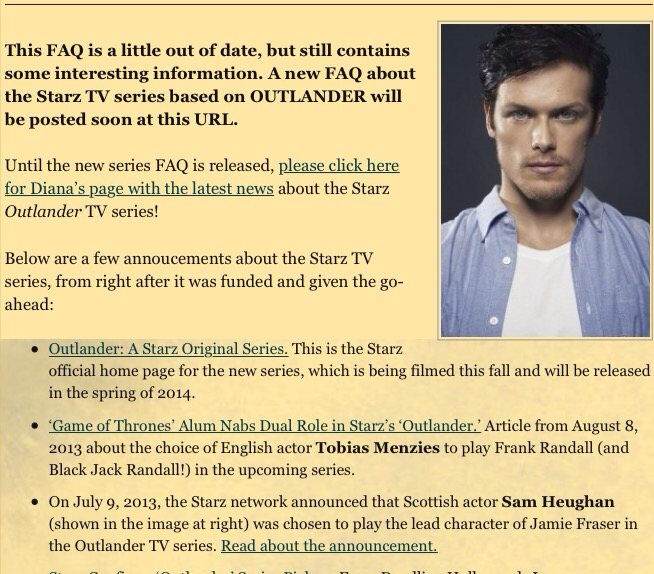 But, why so much Frank and so little Jamie and Claire? One of reasons I was so excited that this was a 16 episode series was that their would be time as Mr. Moore said to keep,” all the things people love about these books”. The main thing I love about these books is the relationship between Jamie and Claire. And my favorite lines….. “Does the wanting ever stop” was changed from awed and tender wonder to when will I stop being horny? Arrgh! Maybe my love for the books has made it impossible for me to enjoy this show? As my husband was kind enough to point out this morning, ” You knew this was going to happen why are you surprised? The movie can never be as good as the book”…… Yeah….I know that…. There has been a lot of discussion in the fandom this week in regards to the Starz’ series portrayal of Frank. I wrote this back in 2014 and very quickly discovered that the most polarizing character in the series is not in fact the villain Black Jack Randall or even Leghaire, it’s Frank. I wish I would have saved some of the Facebook responses and discussions to this article. They were thought-provoking to say the least! They were also very respectful. There weren’t any team Jamie or team Frank discussions. There were however, Friends of Frank, who very gently and intelligently pointed out that what Diana wrote of Frank might lead us to believe Frank was at the least cheating on Claire and most certainly hiding information from her, but that there was enough ambiguity to what she wrote to cast some doubt on both of those assumptions. I know that my eyes were opened by some of the things my readers pointed out to me. I still believe a lot of what I wrote in this article, but I’ve come to believe that there is enough written in the story (It’s hard not to take into account the things the author has said, but there are many who believe the author’s intent should have nothing to do with the reader’s interpretation) for me to believe there is more to Frank’s story than what Claire would have us believe. 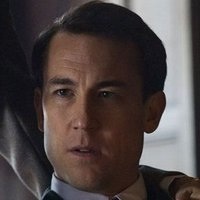 The show’s portrayal of Frank seems to be a hot button topic. Some fans are resentful of the time spent on his character. Other’s believe Frank is being portrayed as a more sympathetic character than they believe him to have been written. Personally, I don’t believe that anything they have done is out of the realm of possibility and like Diana isn’t done writing his story they aren’t done telling their version of Frank’s story. 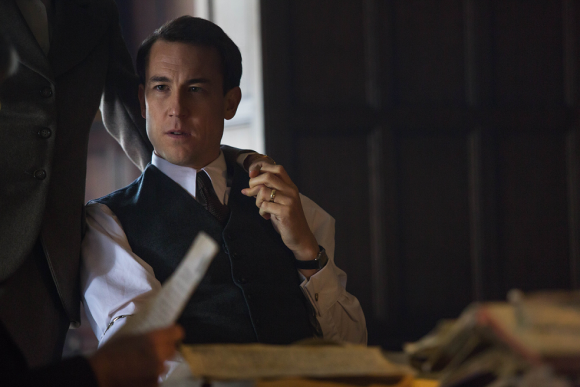 As I say in this article, time and pressure will leave us no gems in the tale of Claire and Frank. This relationship is going to get messy and ugly and sad. Frank. An enigma. I like him. I dislike him. But, do I understand him? There is the challenge and I mean that literally. Recently, one of my readers inspired me to take a closer look at Frank. So, here I am trying to find some empathy. 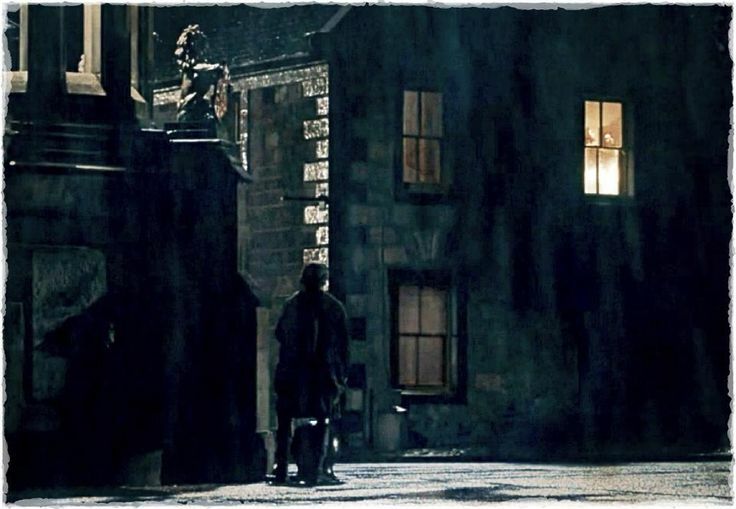 After all, to quote Jamie, if Claire loved him, “…he must have been a good man”. Jamie has always been easy for me to understand. I know what motivates him and sustains him. We’ve had eight books and a lot of character revealing situations from which to draw that understanding. I can write about Jamie, but Frank? Up until this point, I just hadn’t thought too much about Frank and certainly hadn’t much to write about him. I think it’s because Jamie and Claire seem to be meant for each other and that trumped everything for me including Frank. Actually, that might say something more about me than it does him. But, why doesn’t Frank evoke the strong emotions I feel for some of the other characters? Certainly some of his choices are to be admired; taking Claire back, loving Brianna…. but, he also might cheat and lie. I’m not sure I’ve truly looked at the WHY of any of these actions! Guess it’s about time I did. Where to start? Hmmmmm. The beginning? No, makes too much sense. That damn letter in the desk drawer? It did help me understand why…naw. Where did Diana reveal his character? What situation was so stress-filled that we saw the real Frank…..? Got it, …the night he died. Not a very flattering portrayal that, but in his defense, what’s a man to do? What’s a man to do with 20 years of knowing your wife loves someone else? When I think of that particular icy night, warped things come to mind; intentions, plans, relationships, and love. What started out straight and good and true becomes a twisted bumpy mess. Frank and Claire chose to remain married in a situation ripe for a divorce. Their reasons? Complicated. I wish I could say Frank stayed because he loved Claire too much to leave her. I wish I could say Claire stayed because she still loved Frank. I can’t. You know what time and pressure do to a lump of coal, right? A diamond. Time and pressure left us no gems here. What happens when feelings get suppressed? When time and pressure are applied to that suppression? Anger. Resentment. Emotion doesn’t stay inside the skin. Feelings can never be fully suppressed. They find a way to come out and sometimes it’s sideways. I think some sideways feelings got straightened out that night. So, what did we learn about Frank the night he died? What did his behavior and words tell us about him as a man and a person? Well…I’M still troubled over the studied casualness in which Frank told Claire he was leaving her. They were spooning for God’s sake! That seemed pretty cold. Did he think she really wouldn’t care? Or, that she didn’t care and his being casual was a defense mechanism. Claire’s response to this matter-of-fact announcement was very telling, “this one must be really special”. And Frank’s response to her knowledge? No apology. No remorse. Some surprise. “I thought I’d been discreet”, he pronounced. So, urbane. He then laid all the cards on the table and announced he was taking “his” daughter with him. This pronouncement resulted in a shouting match between Claire and Frank. I get the feeling that this was the first time in twenty years that they had truly communicated their feelings. Frank reveals his bigotry and jealousy. When Claire denies having an affair with Dr. Abernathy, Frank doesn’t argue. Deep down, I think he knows she is still the honest woman he’s always known her to be. I think he was looking for a reason to blame her for his choices. Claire then reveals that Frank’s infidelity hurt and that it mattered. Frank speaks aloud the truth of it all, ” … not enough”….Not enough…. And he’s had enough. He’s had enough of waiting for Claire’s love to return to him. He’s had enough of finding solace and maybe revenge in someone else’s arms. He’s had enough of being reminded there is another man and damns Claire’s face that shows everything she feels. He’s taking the only thing left to him. The daughter he loves and I believe he thinks he’s owed, “you’re hardly ever home anyway”. The tipping point of the whole evening is when Frank allows himself to be vulnerable enough to ask Claire if she could have forgotten Jamie. She simply answers, “no”. Finally, unable to avoid the truth, Frank leaves. In Claire’s defense, she told him the truth from the beginning. So, what motivated them to stay together? At first, I think Frank believed that Claire had been traumatized and as Claire said, “he wasn’t a cad”. He didn’t leave her then because she was alone and pregnant and still his wife. His identity as a man wouldn’t allow him. And, I think he still loved her. On the surface it seems very admirable. But, I can’t stop comparing Frank to Jamie. What would Jamie have done if Claire told him some wild story about time-travel and standing stones? Oh wait, she did. The reactions were very different. Frank’s reaction was disbelief, anger and a smashed vase. Jamie, probably not able to believe this story anymore than Frank, reacted with compassion and a willingness to try. 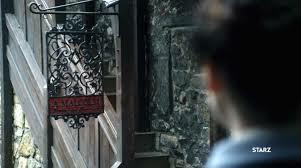 But, once again Claire hasn’t left Jamie without an explanation. Once it became evident that Claire was sane, Frank became curious and began to investigate her story. After two found letters, the reader knows that Frank believed Claire enough to prepare his daughter for a possible future in the past and leave a gravestone where he knows Claire “might” find it. He believes her story, but he never tells her that. 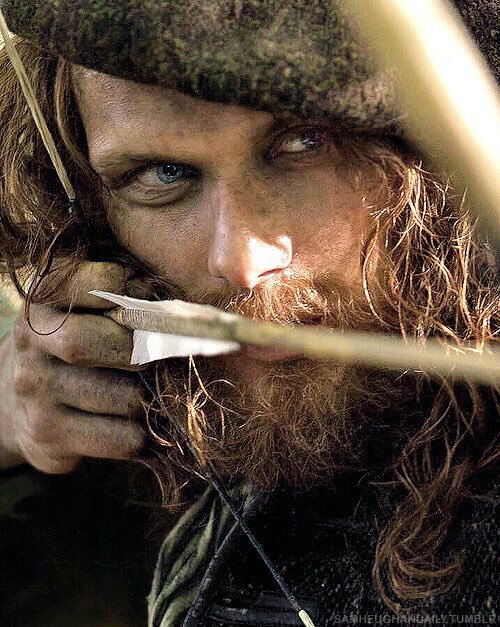 He knows the man Claire loves survived Culloden and that she might be able to return to him. But…he doesn’t tell her…he’s afraid she’ll leave. When Jamie finds out Claire’s story is true and there is a husband with a prior claim, he lets her go. Despite loving her with all his heart…he lets her go. Frank’s reaction is totally understandable, but it seems I may have been right in the first place. Frank’s biggest sin is that he is not Jamie. At first, Claire stays with Frank because she is too depressed to care. Without Jamie nothing really matters. But, then comes Bree. It becomes obvious that Frank loves Brianna. 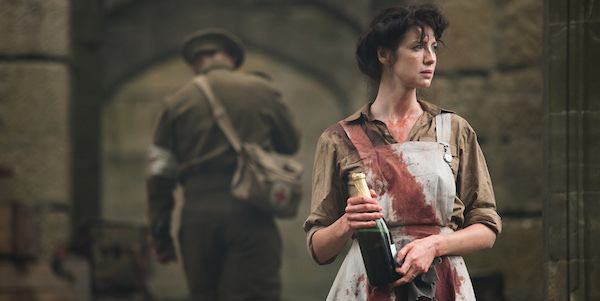 Jamie is gone and after all, Claire loved Frank …once. So, she stays and tries. With a shared love of Brianna between them Frank stays and tries. He tries, but, Frank isn’t Jamie. In fact, I’m not sure Claire would have ever have been truly happy in a relationship with Frank. In a way, a way that matters, I think Frank’s modern sensibilities were more archaic than Jamie’s. Jamie’s view of Claire as a woman and wife was much more open-minded. Frank had beliefs about marriage, a woman’s place in that marriage and a woman’s place in the world that seem geared to keep Claire in her place. I guess I never felt Frank truly understood Claire. He tolerated what he saw as idiosyncrasies. Oh, every once in awhile he surprised me with his insight, like watching Brianna while Claire went to med school. But, he didn’t make this “sacrifice” for her. He made it despite her. He was a smart man, he knew it would just be easier to give in. Jamie wanted Claire to feel happy and fullfilled. He loved her because of all of her “idiosyncrasies” what made her unique. He was proud of her, he fought for her right to be herself. Frank loved Claire, but wanted her to fill his expectations of her as the wife of a college professor. I do have empathy for Frank. He wasn’t a bad guy. In fact, he was probably a great guy. He certainly was a great father. His intentions were good. None of what happened was Frank’s fault, he was a victim of fate. And after all, Claire did love him,… once. I feel sad for Frank because he didn’t know that he never stood a chance against Claire’s love for Jamie. Claire first cries over Frank the night he dies. She cries a second time for Frank in their bedroom on the cusp of returning to Jamie. Trying to make sense of the sadness that was their relationship, she tries to say goodbye. She realizes that they had said goodbye… twenty years before on the green hill of Craig Na Dun. P.S. The response to this post has been amazing. Lots of discussion! It was brought to my attention that Diana had a few things to say about the topic (pages). The biggest thing I took away from reading her response to the Frank question was that we only see things from Claire’s perspective. Her bias and possibly self-serving reasons for viewing Frank and his behavior as she does should be considered when talking about Frank. She said Frank is an honorable man and that we don’t know the whole story. So….keep that in mind!